In 2016, Austin passed an ordinance — known as “ban the box” — preventing private employers with 15 or more employees from asking potential job candidates’ criminal history before extending a conditional job offer. The ordinance allows employers to ask about an applicant's criminal history after that point. At the time of passage, city officials said one of the goals was to reduce unemployment and lower the chances that people with criminal histories would reoffend. But more recently, some have slammed the city’s proposal for lacking teeth since it wasn’t being enforced. According to the National Employment Law Project, an advocacy group that works to strengthen protections for low-income or unemployed workers, 34 states and more than 150 cities and counties have adopted “ban the box” ordinances. Some business owners and Republicans, however, have said that such laws potentially make an employer liable to its workers’ actions — should they go on to commit crimes. 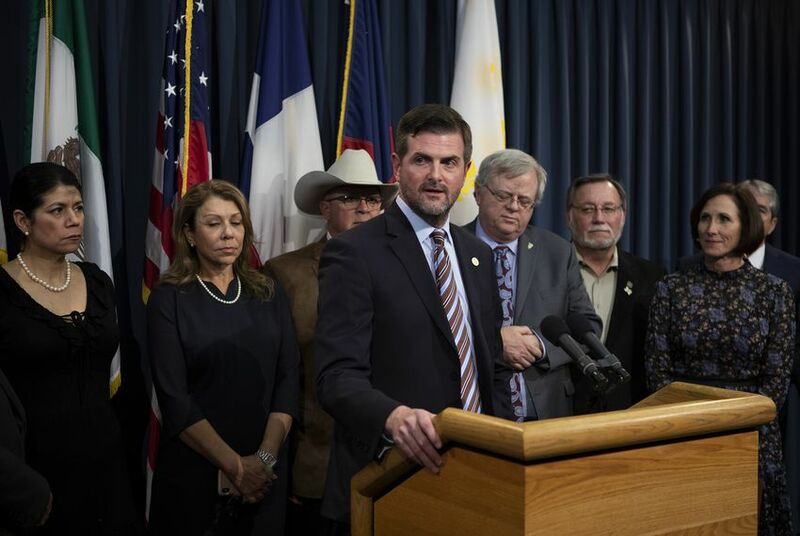 When laying out his measure in early April in front of the Senate State Affairs Committee, Creighton said SB 2488 would ensure “business owners know exactly who is working in and among their employees. But State Sen. Royce West, D-Dallas, said he worried that if Creighton’s bill passed, it might be hard for Texans with criminal records to get jobs. Tuesday’s bills were approved after a broader piece of legislation with similar measures stalled after LGBTQ groups’ criticized Creighton for stripping out a provision that explicitly protected nondiscrimination ordinances. One of the most notable goals of that original bill, Senate Bill 15, was to prevent cities from mandating that employers offer paid sick leave to their staffs. The Senate passed such a measure last week after it was split off into separate legislation. SB 15’s companion in the House, by state Rep. Craig Goldman, R-Fort Worth, has yet to receive a committee hearing, but the language protecting local nondiscrimination ordinances is still intact. The upper chamber approved in a preliminary vote Tuesday a second measure by Creighton, Senate Bill 2486, that would prohibit cities from regulating how companies schedule employees. State Sen. Kel Seliger, R-Amarillo, successfully amended the bill so that cities also could not regulate overtime compensation.